The ASEAN is not only the world’s seventh-largest economy, but it’s also the fastest-growing internet market, and tech companies in the region are racing to scale. Malaysia is home to several such companies, thanks to support from government agencies, venture capitalists, and accelerators. A look at Tech in Asia‘s recent funding reveals growing support for players in niche markets, such as flower delivery and student housing. We looked at 10 companies that completed funding rounds in 2017 and 2018, mostly from seed to series B. 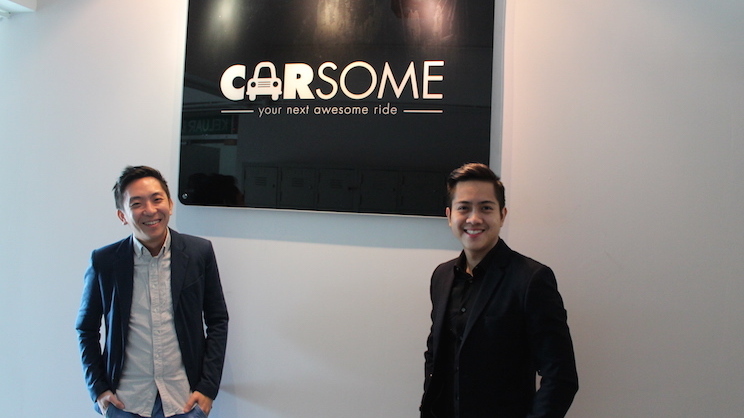 Launched in 2015, Carsome is a selling platform that also functions like a broker for cars. Anyone who needs to sell a car can get in touch with the company, which will inspect the vehicle for free and assess its value. The platform assures customers that the pricing is totally transparent and free of hidden charges and markups. To prove this, it allows the seller to log in and view live bidding results. As a bonus, Carsome handles all paperwork, which it promises to complete within five days. In 2016, the company expanded operations to Indonesia, Thailand, and Singapore. Carsome faces the challenge of differentiation from its competitors, which have raised larger amount of funding. Competitors: Hooq, Viu, Viki, and Netflix. 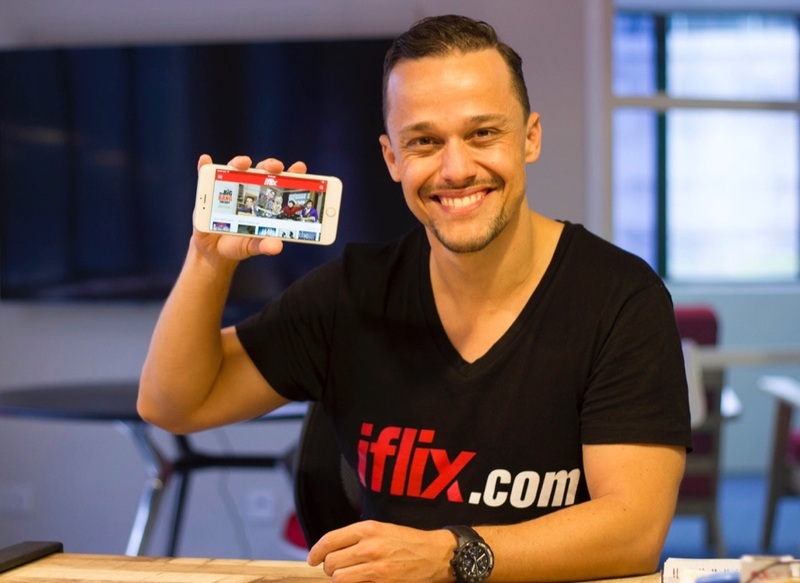 Iflix offers video-on-demand (VOD) services in Asia and Africa, where the app is available in 25 countries. The key to achieving this is the app’s availability in 14 languages, including English, Chinese, Burmese, Arabic, and Swahili. 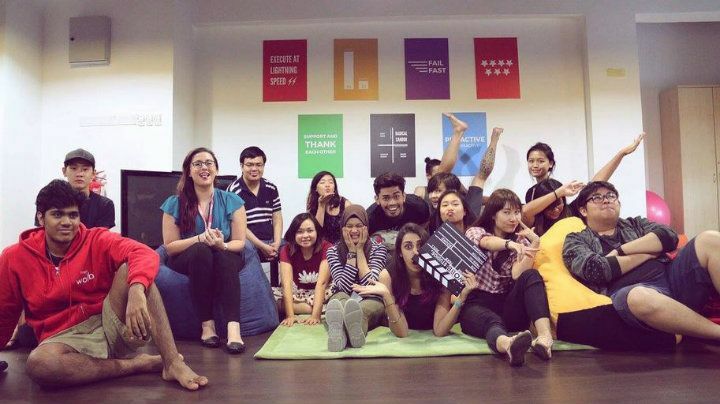 Since its founding in 2014, Iflix has managed to ink 230 studio partnerships. In its latest funding round in 2017, Iflix raised $133 million from 13 investors. While Iflix has found success in partnering with local telecom companies and enabling smartphone downloads, its competitors have emulated this strategy. This has increased the need for differentiation. In 2017, Iflix joined the live sports streaming business. This year, it announced a free video-streaming service supported by ads. Lead investors: Singapore’s REAPRA and US-based consulting company Venture Builders. The flowers can be delivered on demand when ordered by 1:00 pm except on Sundays, as the flower supply chain tends to slow down on weekends. BloomThis also offers a weekly subscription service. 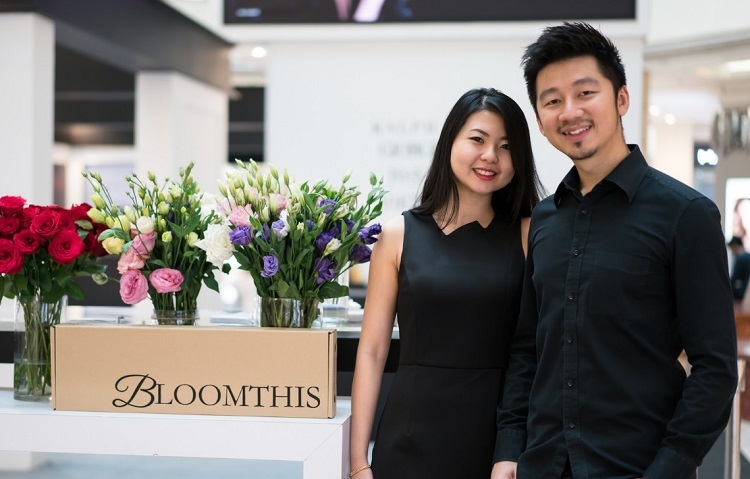 In 2017, BloomThis raised seed funding of $600,000 for expansion to Indonesia and Singapore. PurelyB is a one-stop portal offering everything women need to know about living healthy lifestyles. It offers articles, recipes, and videos in English and Chinese, and sell health programs complete with meal delivery. In May 2016, PurelyB launched a marketplace, but it was eventually shut down after eight months after the company made a discovery: users treated it more as a source of product recommendations and went shopping elsewhere. PurelyB has since narrowed their focus to content, adding a subscription model to the free articles and videos on the website. In 2017, PurelyB launched an equity crowdfunding campaign, which started with a private round for existing members before being offered to the public. Share price was set a $5.35 (RM23) per unit, and the campaign raised a total of $300,000. After expansion to Indonesia, Hong Kong, and Singapore, PurelyB plans to enter Dubai and Australia. Competitors: Datarama and Jakarta’s Oxide. Supahands offers to perform tedious and repetitive machine learning, data management, and content moderation tasks for companies. It’s positioned in the space between freelancer marketplaces and BPOs. One key differentiation point for Supahands is the combination of software and human involvement. Another unique point for Supahands is that it also offers tools for project management, work automation, and autorouting. Formed in 2014, it has provided services to a medical technology company, music-streaming app, and telecom service provider, among others. Its other clients include Grab and iCarAsia. Over the past three years, Supahands has enjoyed a compound annual growth rate of 400 percent. It plans to scale its workforce across ASEAN this year and hopes to begin expansion to India or China. This larger workforce would enable the startup to serve companies across the region with different cultures and languages. Operating in Malaysia, Singapore, and Thailand, the platform acts like an Airbnb for student accommodation. HostelHunting takes a service fee for each successful booking. It’s looking to expand the platform’s operations to other markets in Southeast Asia. 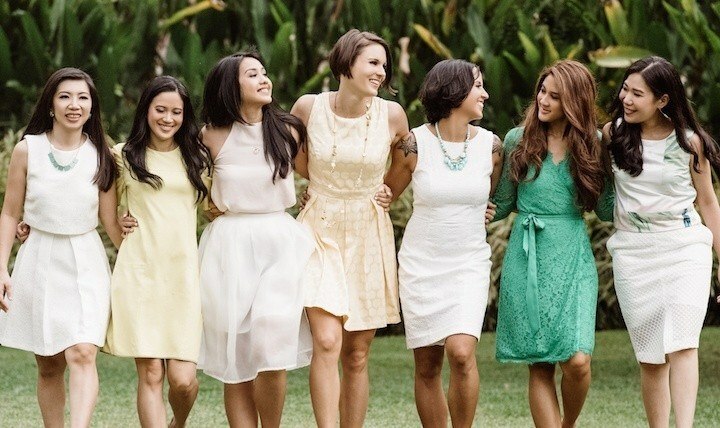 Wobb is a recruitment app focused on attracting young professionals. The platform highlights companies’ work cultures vy showing photos of office interiors and featuring current employees. This enables job seekers to assess culture fit with potential employers even before sending in an application. With a database of more than 60,000 job seekers, Wobb relies on an advertising model. The company said in 2017 that revenue had surpassed $469,000. After signing up, job seekers receive an invitation to meet Wobb’s founder, Derek Toh, over coffee. 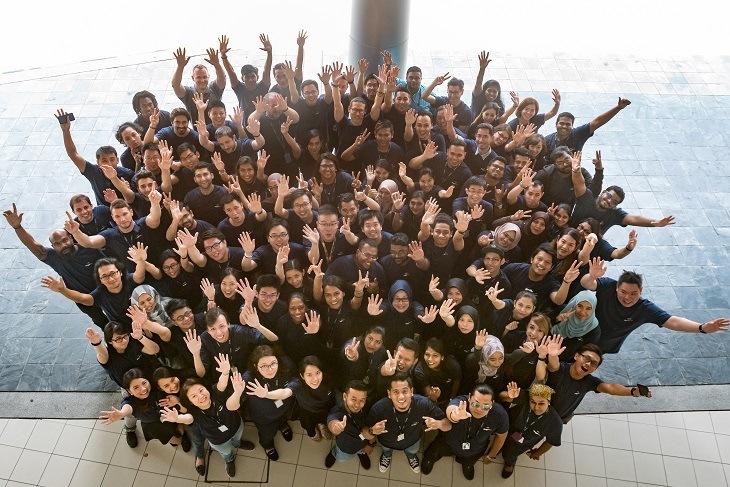 Toh used to be a director at recruitment firm Robert Walters in Malaysia before founding Wobb in 2014. Wobb raised $398,300 (RM1,700,741) in a venture round via the crowdfunding platform pitchIN in 2017. As many as 76 participants made equity investments. RM800,000 came from Cradle Fund, a Malaysian government agency that invests in the early stage of startups. The Kaodim platform matches service seekers with pre-screened and qualified providers. The services it offers range from pest control, plumbing, and photography to catering, cleaning, and fitness coaching. Within four months of launching, over $10M worth of sales had reportedly been gained through the platform, and more than 20,000 customers had been matched with service providers. Kaodim charges $1 to $6 (RM3 to MR20) to suppliers when they post proposals and respond to requests. Customers need not pay to use the platform. In 2017, Kaodim raised $7 million in a series B round. 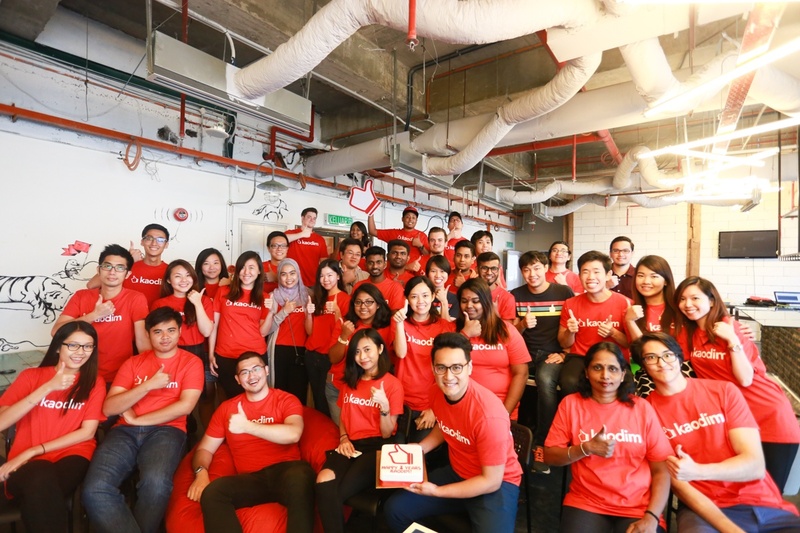 The company claims to have the highest revenue among service-hiring platforms across Malaysia, Indonesia, Singapore, and the Philippines. Lead investors: SIG China, SBI Group, Cento Ventures, and Celebes Capital. Formerly known as Saving Plus, Jirnexu offers financial institutions a full-stack fintech solution. It began with offering financial comparison websites, but it eventually evolved to a streamlined process that allows customers to select and apply for financial products with ease. Most of the company’s revenue comes from Malaysia. Jirnexu’s revenue grew by 100 percent from 2016 to 2017, and it expects to report the same this year. But while it almost reached profitability in 2017, it’s focusing on growth strategies like launching products, says CEO and founder Yuen Tuck Siew. Its series B round in May attracted $11 million. Jirnexu has an edge in that it deals with both back- and front-end work – it provides information to customers, but it also works with financial institutions. 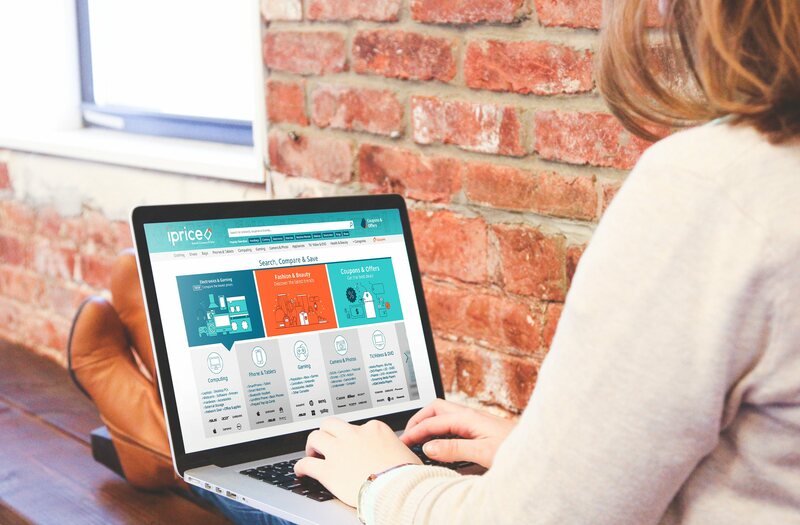 Another price comparison platform, iPrice gathers information on product availability and pricing from various e-commerce websites, like Lazada and Shopee. It also aggregates products from clothing e-tailers such as Zalora and ASOS. By doing so, it aims to be a one-stop shopping destination for shoppers all over Southeast Asia. The startup says it’s on track to reach more than 150 million visitors this year. Apart from Malaysia and Indonesia, iPrice operates in Hong Kong, the Philippines, Singapore, Thailand, and Vietnam. Its series B round this year raised $4 million. Apart from building a large consumer base and leveraging Southeast Asians’ growing adoption of ecommerce, iPrice has formed B2B partnerships, such as with Samsung in Indonesia and Mediacorp in Singapore. Small businesses strive to keep pace with digitisation and find new opportunities through online marketplaces. Technology and digital disruption are compelling companies of all sizes in all industries to adapt and innovate. The world has seen how even multinationals that once enjoyed enviable success can wither or perish if they fail to keep up — from Eastman Kodak to Blockbuster or even technology companies such as Yahoo, Nokia and Motorola. Please credit and share this article with others using this link:https://www.bangkokpost.com/business/news/1495950/online-to-offline. View our policies at http://goo.gl/9HgTd and http://goo.gl/ou6Ip. © Post Publishing PCL. All rights reserved. “I AM getting the easier job as this is the best time to help create a better investing environment for Malaysia,” says Victor Chua (pic), newly elected president of the Malaysian Venture Capital Association or MVCA. For that he thanks the past leaders of MVCA who all did “fantastic jobs” to lay the foundation for the 31-year old to now inject the vigour and ideas of youth to take the Malaysian venture community to a higher level. With optimism about the future and confidence in the new direction Malaysians have chosen through the recent general elections, Chua is looking to build MVCA into becoming a regional platform for members while deepening its roots in Malaysia especially through getting more private sector membership into the MVCA. At present, between 60% to 70% of MVCA’s membership are tied to government-funded VCs and sovereign wealth funds with 30% from corporates. Chua is determined to change this ratio and attract more private sector professionals and the money they represent, into MVCA. “We want to attract more members from corporates and family offices to join MVCA.” But it’s not just restricted to Malaysian-based members as he wants to drive membership from foreign-based investment professionals as well. “By being a MVCA member, you get to get closer to the local investing community and at the same time find out more about the local ecosystem and how the public sector works with the private sector,” explains Chua when asked what value non-Malaysia based members could get from MVCA. Already working on a few initiatives, MVCA will also have some dialogues with industry players to get their views, to better act as the voice of members. With an eye to building and enhancing the skill set of the next generation of investment professionals, something the Securities Commission of Malaysia and government are supporting, capacity building will be a key initiative for MVCA during Chua’s two-year term, which started last month. “I feel like a minority as there are not that many VC professionals around versus the private equity crowd,” he quips. That shouldn’t be the case, he feels as “Malaysia has a fantastic environment with promising startups, some of which can scale regionally”. He reels off examples such as e-commerce startup, Hermo which Chua invested in while he was with Gobi Ventures of China; Carsome an online to offline automotive platform with a presence in four countries, which he also invested in while at Gobi and restaurant booking platform, OffPeak, which is also in four countries. While his first investment was made in Indonesia, Chua also participated in the March Series B round into Carsome and is currently assessing investments into Vietnam. Meanwhile, Chua is already looking forward to an anchor event of MVCA’s, the Southeast Asia Venture Capital & Private Equity Conference 2018 (SEAVCPE 2018) to be held on July 31, 2018. Targeting a 50% headcount increase in participation this year, Chua is bringing in a mix of foreign and local speakers. “We want them to talk about their markets as the focus of the conference is on localisation. The idea is to connect Malaysia to their markets.” The timing is right as Malaysian investors who in the past may have been too focused on the home market are now starting to invest outwards as well, he notes with his own fund but the most recent example. Among the regional speakers confirmed are Lim Kuo-Yi, managing partner, Monk’s Hill Ventures; Kaspar Hidayat, investment manager, Venturra Capital; Koichi Saito, founder & general partner, KK Fund and Dan I. Siazon, senior vice-president & treasurer, Kickstart Ventures. Those interested to attend can email MVCA. Tell Khailee Ng that Southeast Asia lacks talent when it comes to deep technology and you’ll get more than an earful. Mr. Ng is the managing partner of 500 Startups, an early-stage venture fund and seed accelerator founded in 2010. He oversees its Southeast Asian operations. The region is seeing an emerging group of start-ups dabbling in deep tech, which encompasses the whole spectrum from artificial intelligence (AI) to drones and robots and augmented reality. One example is Malaysia’s Glueck, which produces computer vision, AI and deep machine learning algorithms to assess responses to stimuli in real-time environments. “The important part about investing in Southeast Asian deep tech is to know that the relevant companies in the region may not be only receiving investments locally, but from companies in Europe, Hong Kong, Taiwan and India which may target Southeast Asia,” Mr. Ng says. He sees Singapore becoming a major deep tech player. But Mr. Ng is not discounting other countries in the region as some of them offer what 500 Startups is looking for, such as investments in space, energy, infrastructure and agriculture. But Southeast Asia has its fair share of challenges. Victor Chua, founder of Malaysian venture capital firm Vynn Capital, believes the biggest gaps are in talent, as well as the mentality of financial backers. But Mr. Chua is confident Southeast Asia can deliver. Mr. Ng believes deep tech start-ups may require help to market themselves to a larger audience. “These companies may need help telling their story to the world and planning their financial strategy. Their sales cycles and funding needs may be quite different from mobile or internet companies,” he says. According to Mr. Ng, 500 Startups will work towards creating circles of experts in every field. As for Mr. Chua, he envisages turning to solutions for traditional industries. Indonesian travel platform Travelio has secured a Series A financing of $4 million in a round led by Vynn Capital, the startup has announced in a statement. Also joining the oversubscribed round were Insignia Ventures Partners, Fenox Venture Capital, IndoGen Capital and Stellar Capital. “The team’s understanding of the emerging trends of the travel and hospitality industry has allowed the company to grow and gain support from existing players. At this stage, we also welcome any property players looking to utilize innovation as a main driver for growth through potential collaborations with us,” said Vynn Capital Managing Partner Victor Chua, who is a former Vice President of Travelio’s previous lead backer, Gobi Partners. Founded by Hendry Rusli, Christina Suriadjaja and Christie Tjong in 2015, Travelio was launched as a platform where travelers can search through a wide range of accommodation including apartments, villas, houses, and hostels. Users can set their own rates and send personalized offers to property owners. The Jakarta-based company now has more than 4,000 listings on its platform and hosts a team of more than 80 employees. With the new set of investors and fresh funds, Travelio says its near term priorities are growth acceleration, talent acquisition, product innovation, and new verticals. Travelio developed Indonesia’s first VR camera based instant monthly booking platform that brings all the offline tenant experiences transparently online. This has simplified the process of renting a property, such as viewing, appointment management, negotiations, paperwork and payments. In Indonesia, it competes in an industry currently still dominated by unicorn Traveloka, with other sites like PegiPegi and AiryRooms also fighting for the travel market pie. Travelio’s raised its pre-series A funding round at $2 million in 2016. It used the proceeds to expand accommodation offerings, product development, widen market reach, and increase new hires. JAKARTA, presidentpost.id – Sebuah perusahaan Venture Capital asal Malaysia yang bernama Vynn Capital sedang gencar menyasar startup di Asia Tenggara, Indonesia menjadi salah satu target negara yang akan didanai oleh perusahaan yang bermarkas di Kuala Lumpur tersebut. Perusahaan tersebut didirikan oleh Victor Chua yang sebelumnya menjadi Vice President di Gobi Ventures dan Darren Chua yang sebelumnya di IE Singapore. Kata sinergi menjadi salah satu keunggulan Vynn Capital dimana mereka berusaha menciptakan sinergi diantara para startup dan dalam waktu yang sama juga menciptakan sinergi antara startup dan investor. “Sehingga terjadi ketertarikan di antara keduanya, dimana startup dapat belajar dari investor dan investor juga dapat belajar dari startup mengenai bagaimana menjalankan bisnis dengan cara yang baru,” ungkapnya. 5 industri yang disasar oleh Vynn Capital adalah travel, properti, FMCG, female economics(kosmetik, perawatan kulit dan yang berhubungan dengan woman life cycle) dan yang terakhir logistik atau enabler (fintech). “Kami ingin para startup dari berbagai industri bisa berkolaborasi saling mendukung satu sama lain, kami juga ingin investor melakukan hal yang sama (dari berbagai spesialis industri namun bertukar pengalaman),” ujar Victor. JAKARTA, presidentpost.id – Vynn Capital merupakan sebuah perusahaan Venture Capital asal Malaysia didirikan oleh Victor Chua yang sebelumnya menjadi Vice President di Gobi Ventures dan Darren Chua yang sebelumnya di IE Singapore. 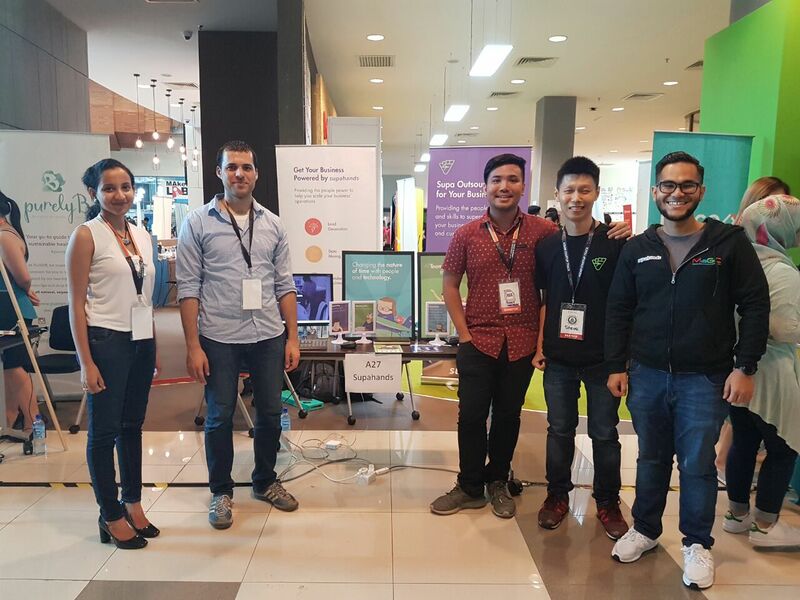 Saat ini Vynn Capital sedang gencar menyasar startup di Asia Tenggara, dan Indonesia menjadi salah satu target negara yang akan didanai oleh perusahaan yang bermarkas di Kuala Lumpur tersebut. Kepada presidentpost.id, Victor menjelaskan bahwa dengan bergabung bersama Vynn Capital sebagai LP (Limited Partnership), maka investor bisa mempelajari pola pasar konsumen di negara tetangga melalui startup yang ada di negara tersebut. “Kami berperan seperti platform R&D, dimana orang hospitality bisa belajar kepada orang sektor makanan melalui kami. Karena kami investasi di startup yang bisa berkolaborasi dengan berbagai industri. Karenanya investor bisa belajar lintas industri bahkan lintas pasar di beda negara,” tegas Victor. Menurut Victor investor memiliki kesempatan untuk dapat menjelajahi pasar di Indonesia, Malaysia, Thailand bahkan Myanmar.